Well hello, it’s been a while! As you may remember, I had surgery in September and I’ve been enjoying a slower pace of life. So slow, in fact, that I’ve had a few readers ask if I’m going to return to blogging. Wow…did that make me feel great! It’s nice to know that I’ve been missed. 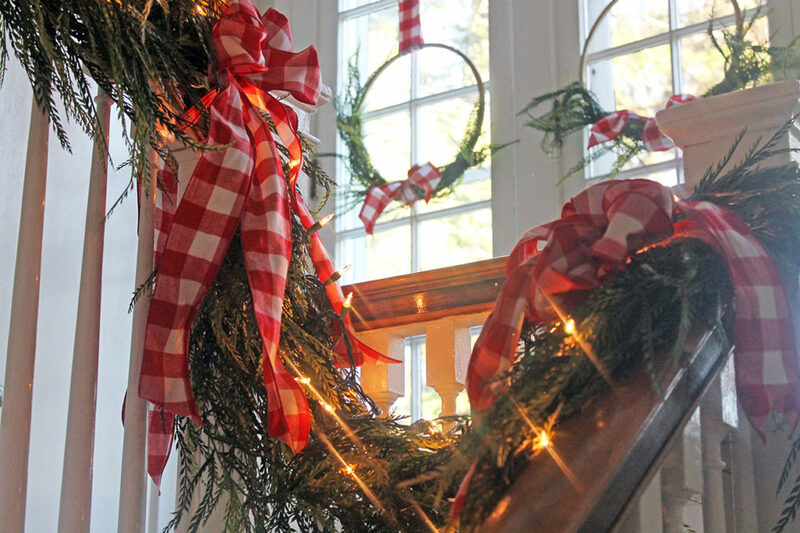 I definitely missed out on fall decorating this year…and I think because of that, I’m jumping into the Christmas decorating earlier than normal. You may have noticed in my Instagram stories earlier this week that I was decorating my staircase for the holidays. 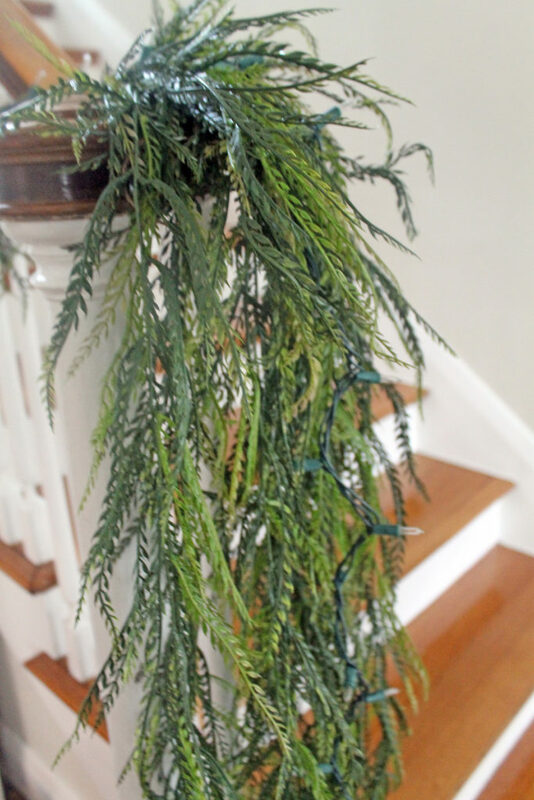 Several people wanted more information on the greenery/ garland I was using. Soooo I thought…why don’t I write a blog post and share what I did. 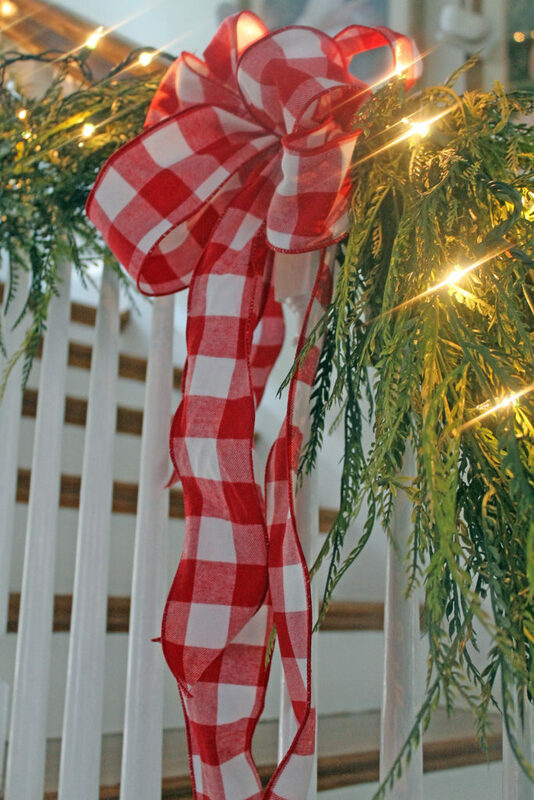 I am keeping things simple this year, so I used three items to create this look…greens, white lights and red buffalo plaid ribbon. 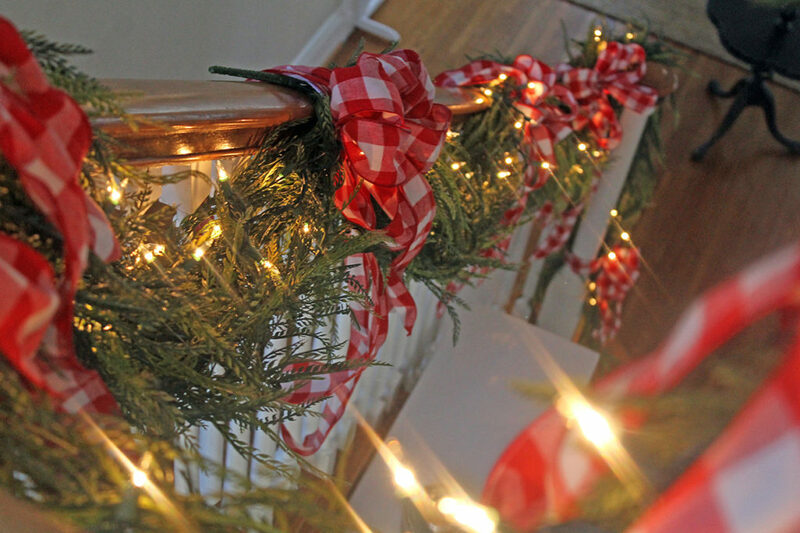 Over the years, I have gone back and forth between using artificial garland and live garland. There are pros and cons to both. I love the look of the live, but it dries out so quickly and then leaves a mess. 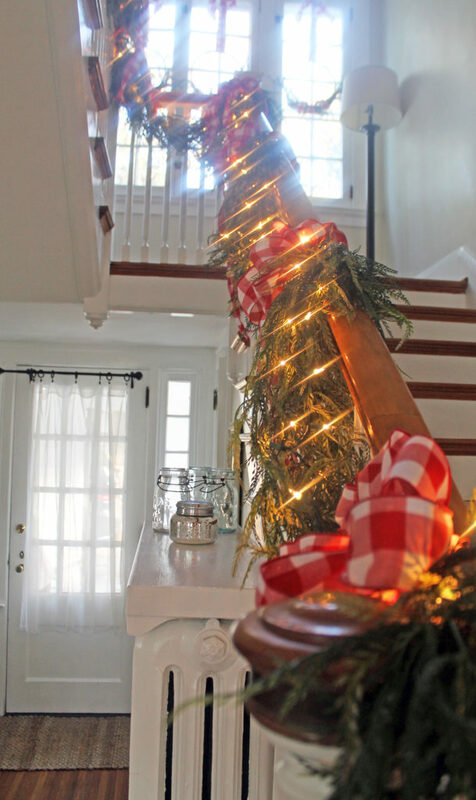 I decided to use something a bit different this year…THESE HANGING GREEN SWAGS are perfect! They have the lush look I want, but without all the mess. 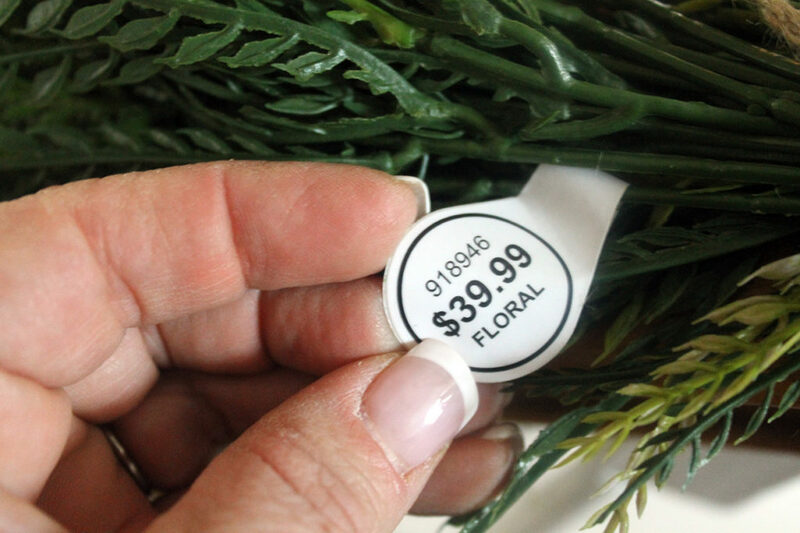 Yes, they are artificial…so they will not dry out and die. 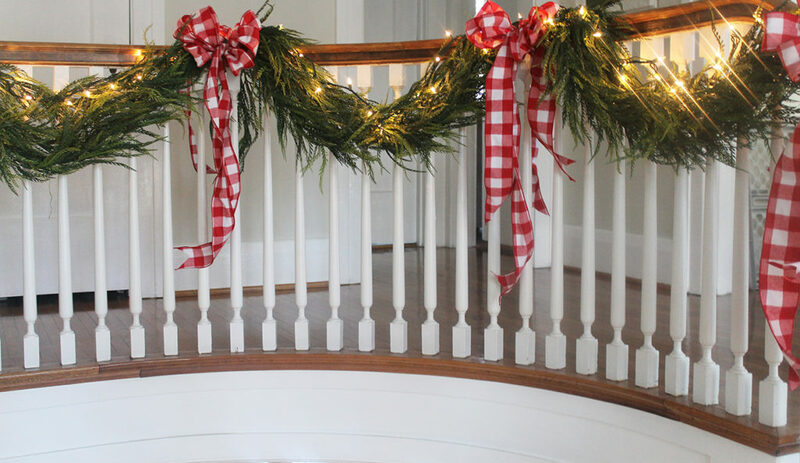 I purchased ten of them to hang on my staircase (and if you know Hobby Lobby, they will be 50% off next week if they aren’t on sale this week). 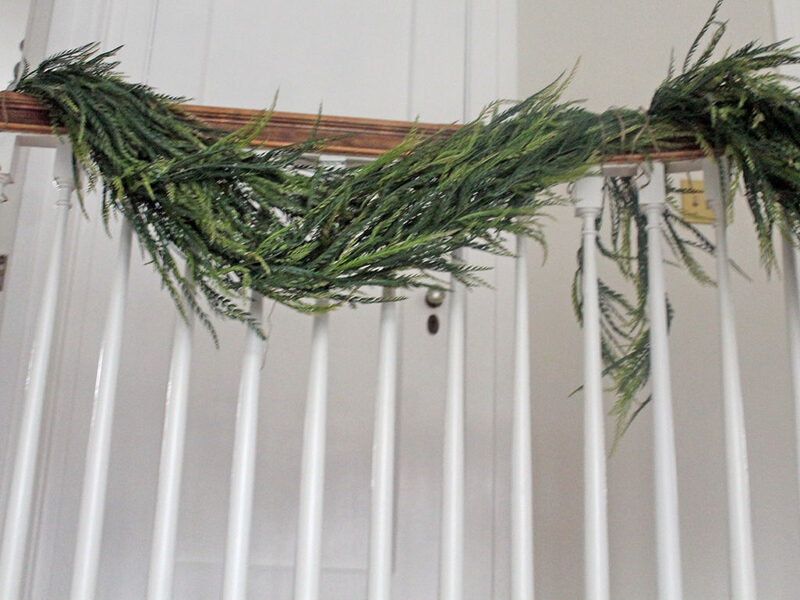 I simply gathered each end and tied them to my banister with some natural jute, overlapping them just slightly. 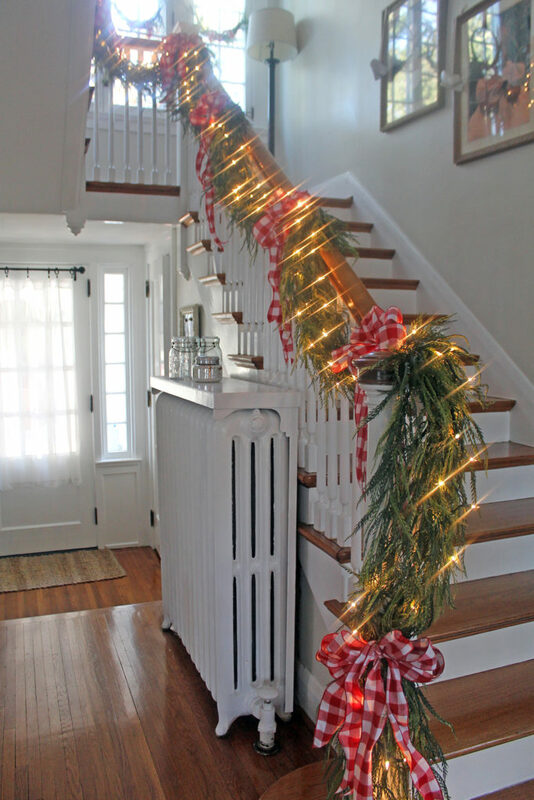 Once I had all the greens attached to my banister, I added the white lights. 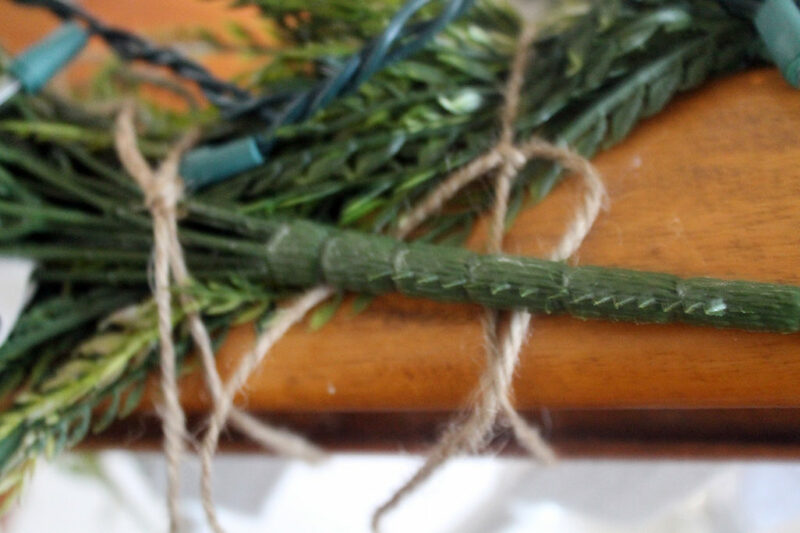 I tried to weave them in and around the greens for some dimension. 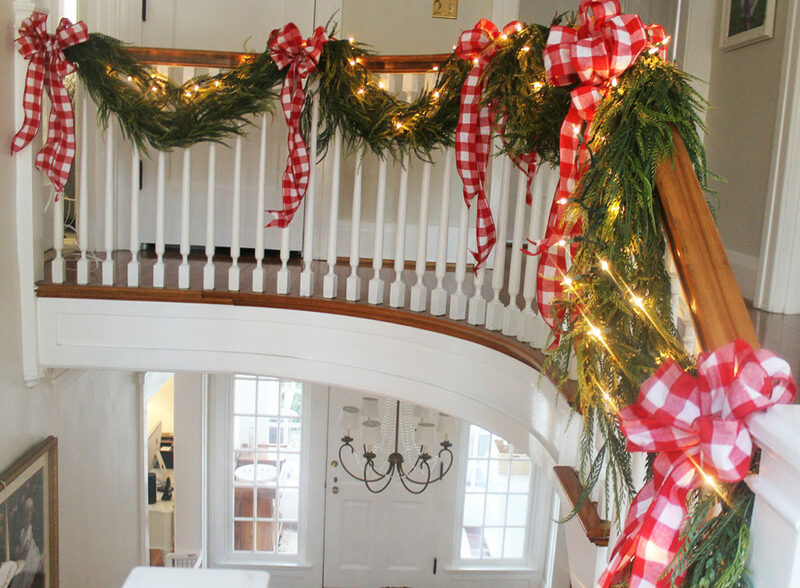 Then came the fun part…the ribbon and bows! 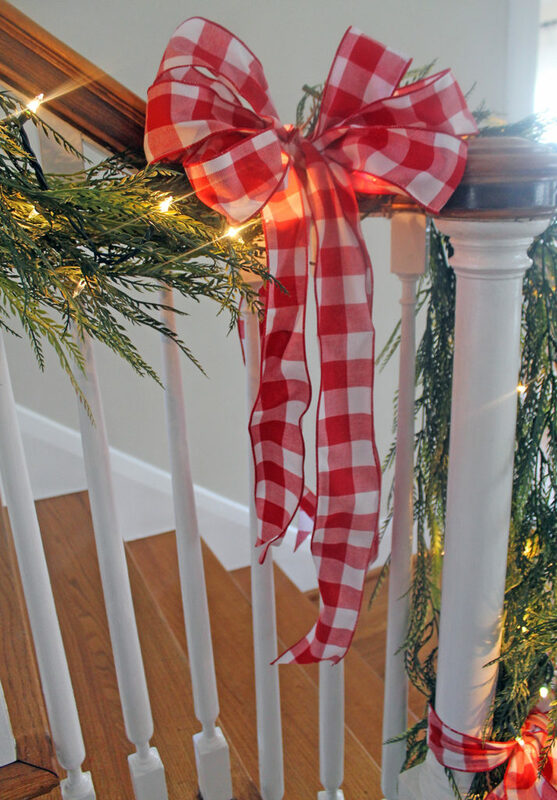 I love a good BUFFALO PLAID RIBBON, and I’m especially loving this red and white pattern this year! I attached the bows in the same area where I tied the jute. It is the right spacing AND it somewhat hides the jute.